Fort Erie joined together to hear the vision for their futures. 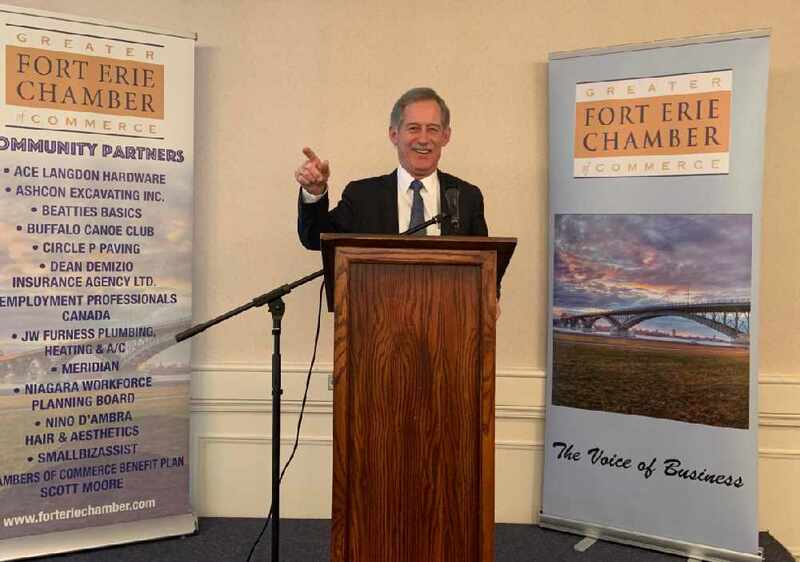 Mayor Wayne Redekop held the State of Fort Erie address this morning. Redekop says Fort Erie is a great place to raise children and focused on the town's growth. He delivered his address to a packed room at the Clarion Hotel. Redekop says in the last three years, Fort Erie has seen the largest amount of new housing projects in its history. The town is looking at ways to develop affordable housing.